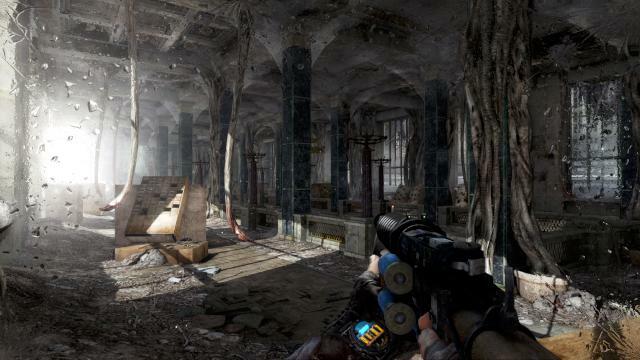 Metro 2033 and its sequel, Metro Last Light, both provided some memorable games experience on the previous generation of gaming machines. Giving a bleak yet strangely uplifting view of human survival in impossible circumstances, they blended a mixture of survival and horror which made them both exciting and memorable. They did, however, make the most of a slightly slower pace, and many people looked away in favour of the faster paced shooters around at the time. 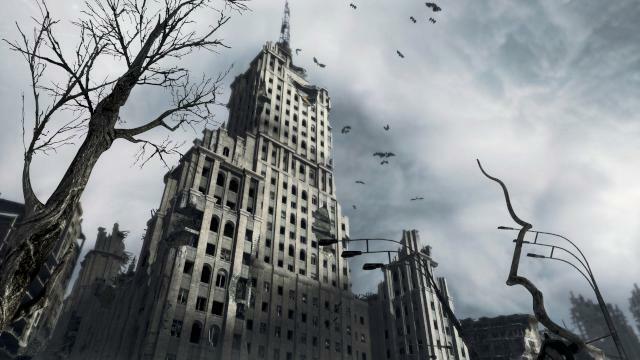 But with the newer consoles and PC hardware giving the opportunity to breathe some life into the series the developers took it upon themselves to show us what the Metro games should’ve been all along, and it’s worked. Redux is a very attractive package. The main core experience of each game is much the same. As you’d expect from a remake the games themselves remain more or less untouched in terms of the storyline, but don’t be fooled into thinking these are just nicer looking versions of some last-gen games. 4A have taken this opportunity to tweak the gameplay styles of both games, and by adding a simple option at the beginning of each title you’re almost getting a double dose of newness. The extra option gives you the choice of playing in Survivor or Spartan mode, with the main differences being the amount of ammo and other resources available to you. Survivor mode obviously limits what you’ve got at your disposal and makes it tougher to find things while you’re out and about, giving you a far bigger lean on sneaking around and delivering quick, low-cost kills. This is quite close to the core gameplay of Metro anyway, but ramps things up a little, while Spartan mode is a bit more gun-heavy and lets you go a bit nuts with how many bullets you sent flying at your enemies. Sneaking around by blowing out candles and unscrewing light bulbs is still a risky but seriously cool mechanic, letting you fully exploit the darkness around you and even bypass groups of enemies without getting spotted. 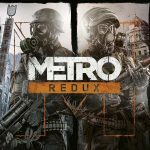 Visually it’s Metro 2033 that has been given the more serious upgrade (as you’d expect), and with new lighting, animations and Last Light’s interface making life less cumbersome and looking utterly stunning next to the original – the lighting effects especially make a stark difference in how much you can see. Last Light has been given a lick of paint, but considering it looked pretty tasty at the time you’re not going to notice quite as easily what’s been tweaked. Personally I found the outside sections to be the most obvious with some gorgeous water and lighting that wasn’t in place on the PS3 version we reviewed at the time, but there’s a definite new-gen feel to things throughout. The fact that the games themselves remain largely untouched does mean though that the issues in the originals are still very much in place. 2033 will regularly pitch you against huge numbers of bad guys in hoard-style set-pieces, and playing the two games together shows a lot of similarities in terms of locations and enemies, but considering the things that have been fixed (such as the issue of alerting everyone within a 300 mile radius when one guy spots you) and just how awesome it all looks it’s definitely forgivable. You also get the full set of DLC for both games, and on the PS4 at least you get both running at 60fps at 1080p, which just adds that extra cherry on top of an already beautifully made gaming cake. Redux’s lighting is a thing of beauty too. And of course, there’s one other thing. The price. Each game is only £16 on the PSN store, or £30 for the double package. That’s £30 for two excellent games which have been made even more excellent than they were the first excellent time round. This isn’t one of those shameless HD remakes like we saw so many of on the previous generation of consoles; 4A Games have worked hard on this, they’ve put effort in to bring the ageing 2033 up to the standards of modern games, added the choice of how to play and turned both games into something incredibly beautiful to look at. Unless you had your fill of Metro the first time round (and if you didn’t play it on the super-tough difficulties which remove your HUD entirely, you haven’t) you should be looking at picking these up. The Metro world is every bit as desperate as it was before, but it’s never looked or played better. Turn the lights off, get your headphones plugged in and brace yourself for some gaming you won’t forget in a hurry.